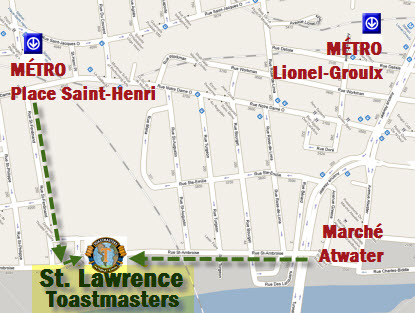 ﻿ Public Speaking Downtown Montreal Parler en public | St.Lawrence Toastmasters Montreal » >> COME MEET US! 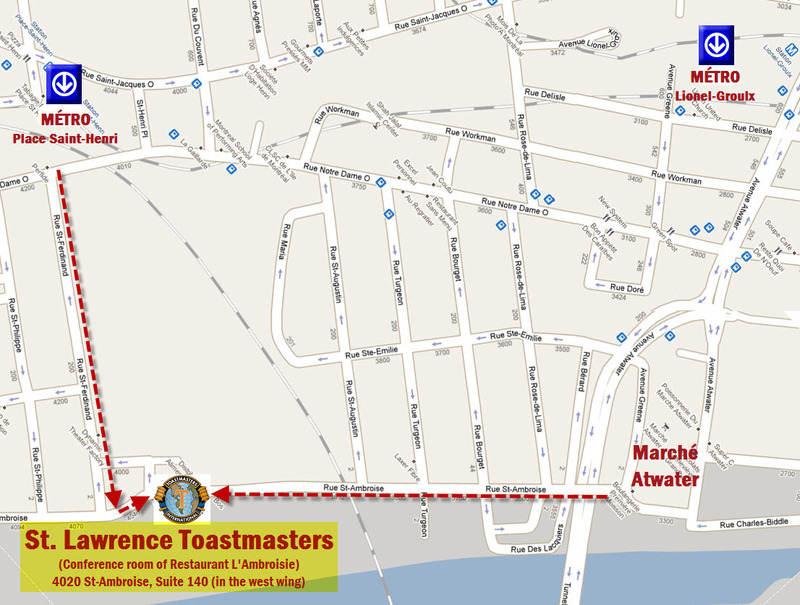 Come meet us at St. Lawrence Toastmasters Club so see how our meetings unfold. 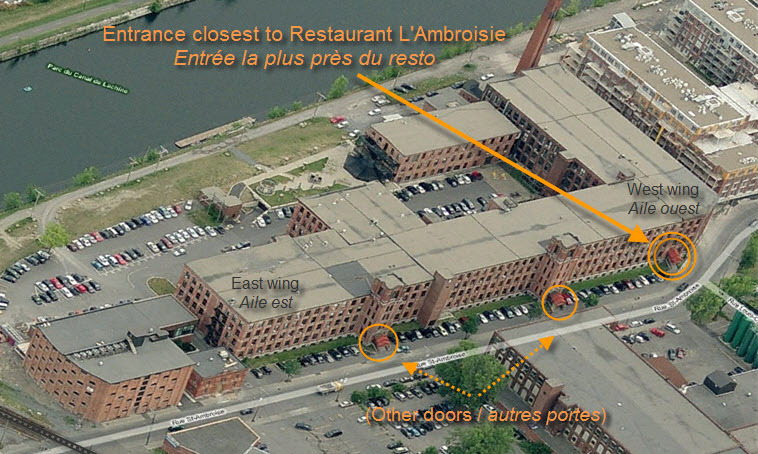 See how our members learn to communicate more effectively in Montreal. Improve your presentation skills in Montreal. Organize your speech. Increase your leadership potential in Montreal. We suggest you show up around 6:45 PM. The price is $10. Cost includes raw vegetables with dip, and one non-alcoholic beverage. À la carte meals also available before and after the meeting. – Free (and ample) street parking. 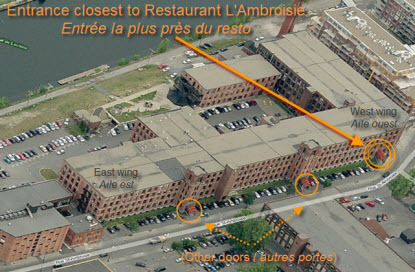 – There is also a parking lot on the premises in the back of the building complex. The cost is $5 after 5 PM, other rates apply before 5 PM. After visiting us, if you wish to become a member, please consult our membership page for additional information. Click to view photo of building in larger size. Click to view building entrance in larger size.